Two viable options. Which one is right for you? What do you suppose a gym membership costs these days? The local gym I used to belong to have plans that start at just under $20 per month. It even has a family plan for just under $50 per month. In the grand scheme of things, that is actually a small price to pay to get and stay in shape. But what about working out in the privacy of your own home? Which is the better approach? This question doesn’t have a simple answer. Let’s face it – there are benefits to both. So for now, I’ll make some comparisons that are largely based on MY opinions and personal experience. As you can see, there are plenty of pluses and minuses no matter which way you decide to go. I will say one thing. If you decide you want to build your own home gym, depending on what you buy, it can cost some big dollars as compared to, say, a twenty dollar per month membership. Unless of course you pay for the membership and never go to the gym. 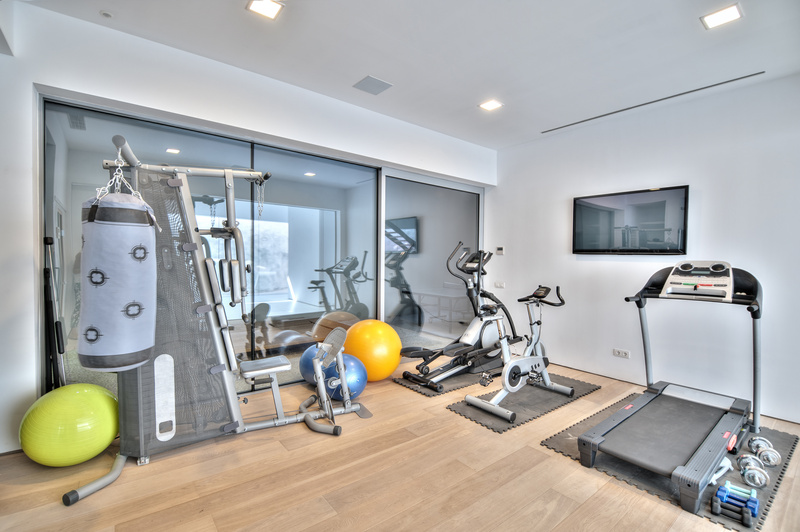 Assuming you have the space for a home gym – in your basement or perhaps a spare bedroom – some careful shopping and deal hunting can land you some pretty good deals to stock your home gym. I opt for middle of the road equipment. So, I avoid box stores like Walmart when looking for a spin bike – but neither would I spend close to $2,000 for a Peloton (a great spin bike, but I simply couldn’t justify it). For my spin bike, I purchased an XTERRA Fitness MB550 Indoor Cycle . An excellent choice for the money – only about 25% of the cost of the Peloton! And it was by far the most expensive item purchased. My treadmill was actually given to me a while back. It’s probably 10 years old, but still works great. I also have a Bowflex Ultimate. Another unit that’s quite a few years old. When these were new, Bowflex sold them for about $1500. I bought mine from a friend for $200. Again – it works great. I have a kickboxing bag too. Talk about a workout – I strongly suggest one of these. It’s a great, full body, stress relieving workout. I have a section of my floor fitted with interlocking floor mats. I got the idea from my son’s martial arts days. These are great mats and make doing my body weight exercises more comfortable. And finally, I have an inversion table to help stretch out the old spine, and knees. 15 minutes on this and you’ll feel great. All of the equipment can be purchased used as well. Don’t forget to check on eBay, Craigslist, Amazon and even gym equipment reconditioning companies. You can find some spectacular deals if you look hard enough. In the end, the only thing that really matters is that you do something to keep yourself healthy. In our house, we ALL use the equipment. I’ll admit, it doesn’t see much use from spring to fall. I prefer to run or bike outdoors. But my home gym sure keeps me from getting lazy through the cold season! When I started on my fitness journey, I joined the gym, but I did with the intent of hiring a personal trainer. If you can afford that, I highly recommend it. I used my trainer for almost 2 years. But the funny thing is, I ONLY used the gym during my scheduled sessions. I never came to the gym on my own and used the equipment. So when I stopped using the trainer, I stopped going to the gym. And subsequently, built my home gym.